Gold has always been used as currency and is the relative standard for currency worldwide. Gold today is traded based on the real-time spot gold price that comes from gold-trading markets throughout the world. The gold rate in USA markets today stands at $1578 with fluctuations expected daily. 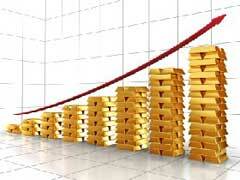 There are several factors that affect the gold rate worldwide including United States trading markets. 1. Demand both industrial and personal needs affect gold bullion prices on a minute to minute basis. The current price at 11:00 a.m. EST is $1576 with pundits expecting a rebound during the day. Industrial demand for gold is 12 percent of the market. Gold is used as a high thermal conductor and because of high resistance to corrosion. The jewelry market consumes almost two thirds of gold production annually and India accounts for 27 percent of this demand. As consumers demand gold jewelry, the market prices fluctuate. 2. The gold rate in USA markets are also influenced by national emergencies and worldwide wars or conflicts in other countries. This is due to the unwillingness of populations to invest in gold and government agencies who limit the export of gold, nationalization of gold mines or theft. 3. Banks and mining companies hold large reserves of gold and affect the gold market by selling or buying large gold stores. Central banks are estimated to hold 16% of the gold bullion market and their ability to raise or lower interest rates determines the favorability of gold investments. When gold prices fall, investors turn to other currencies or bonds. 4. The gold rate in USA investment sectors depends on fluctuations. If speculation and investing uses gold as a hedge against inflation when the dollar is weak, gold will rise in price and value. If the dollar rises in value, investors and speculators can influence the gold rate in the USA by increasing their investment portfolios with gold commodities purchased at lower per ounce gold prices. The gold price prediction on any given day is due to gold demand by industries and personal use, investment practices, interest rates and banking practices. Using developed charts, histories and actual purchases during the day will determine what the gold price is at any given moment. Those involved in predicting gold prices also watch the stock market, commodities market, and interest rate fluctuations – including actual rates and rumors of rate changes.